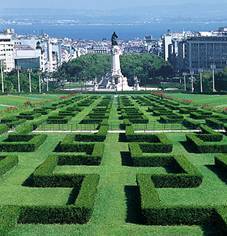 Lisbon is Europe's most westerly capital and built on seven hills. All history's conquering and itinerant hordes have found their way here  Phoenicians, Romans, Visigoths, Moors, not to mention the Spaniards and French  while its colonies have brought settlers from Africa, South America, South East Asia and China. The Portuguese discoveries and the launching of the maritime trade empire made Lisbon a true world capital. The city was destroyed in 1755 by a massive earthquake. The government took the opportunity to rebuild the city from scratch, making one of the greatest changes to the face and character of Lisbon, masterminded by the Prime Minister, the Marquês de Pombal. Lisbon today is a most interesting city to visit, with much to offer - dazzling monuments, delightful parks, interesting museums, lively bars and cafes and very good restaurants. On arrival in Lisbon , you will be met by our ground team and escorted to the executive style coaches. 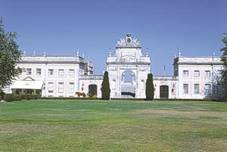 The airport is approximately 20 minutes (7km) from the centre of Lisbon. The 5 star Four Seasons Lisbon is situated in the heart of Lisbon with spectacular views of Eduardo VII park and the Tagus river, one of Europe's widest rivers. It is a fifteen minute walk to the "Old Town". The hotel rises from one of Lisbon's seven hills and is one of the most prominent modern landmarks of the city. The bedrooms are extremely well decorated and very elegant with a colour scheme that matches all details. The en-suite bathrooms are very large and the bathtub and washbasin are made of the finest marble. Each room has a connection for laptops. There is also a wi-fi area in the lobby. Facilities include a fantastic spa with the top of the range treatments (frequently in the top 10 Spas in Europe) a 24 hour room service, twice daily housekeeping service, currency exchange, shopping arcade, hairdresser, restaurant and bar. 19:30 Executive coach transfer to the Eleven Restaurant. One of the most acclaimed restaurants in the city. It is a modern space, with glazed walls, open to the magnificent views that the location has to offer: the park, the castle, the river and the urban landscape. Located atop Edward II Park, its cuisine is contemporary Mediterranean prepared by a chef whose restaurant in Spain holds 2 Michelin stars and was rated the best restaurant in the country by the Gourmetour guide. Eleven has also earned a coveted Michelin star, a well-deserved recognition. 22:00 Dinner finishes. Coach back to the Four Seasons or alternatively guests may wish to walk the short distance back at their leisure. The Palace was built in the last quarter of the 18th Century by Daniel Gildemeester, at the time Dutch Consul in Portugal, this palace was given its present form after the enlargement works carried out in first years of the 19th Century when it belonged to Dom Diogo José Vito de Meneses Noronha Coutinho, 5th Marquis of Marialva. There will be a reception in the gardens followed by a spectacular outdoor horse show. 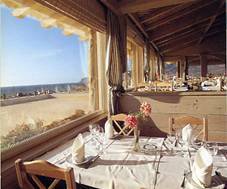 The Porto Santa Maria Restaurant enjoys a beachfront location with stunning views over the Atlantic Ocean. The food served here is excellent and the specialities are fresh seafood. The restaurant is well known for its first class service and has been awarded a Michelin star. When Bill Clinton visited Portugal in May 2002 as President of the United States , he dined at Porto Santa Maria. The Estoril Casino is considered the largest Casino in Europe and is situated on the coast approximately 20 km from the centre of Lisbon. Through its gaming rooms pass guests from all over the world including many celebrities attracted by the wide variety of European and American games: American Roulette, French Table (Portuguese dice), Baccarat (punto banco), Black Jack/21, Caribbean Stud Poker and Slot Machines. In the Black & Silver room, luxurious music-hall shows are presented every night on a large raised stage, featuring renowned Portuguese and foreign artists. Here you can also enjoy the best international cuisine, in an elegant atmosphere while listening to good music. 19:45 Welcome drinks in the foyer overlooking the gardens. 23:30 Show "Danca Com Letras"
09:30 Hospitality Desk opens to help you plan your day in Lisbon. 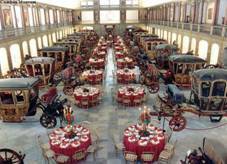 The National Coach Museum houses and exhibits, under the exquisite ambiance of the old Royal Riding Arena of Belém Palace, an exceptional collection of ceremonial vehicles from the Royal family, dating from the 17th Century to the late 19th Century. It is considered the most remarkable collection in the world of this kind. There will be a coach transfer from the Four Seasons Hotel to Lisbon Airport. 08:45 Please meet outside the hotel, weather permitting. Your luggage will be taken for you to the coaches. 11:15 Flight is scheduled to arrive at 14:15 local.